One Shoulder Charmeuse Pleated Evening Gown | Sung Boutique L.A. 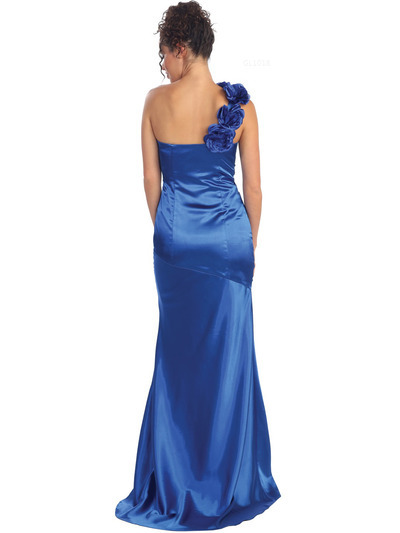 This fabulous satin evening gown features a shoulder embellished by large floral details. 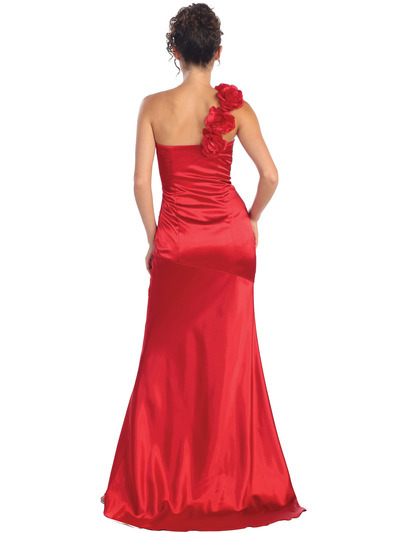 Pleating along the bodice creates a lovely silhouette while a flared skirt completes the look.